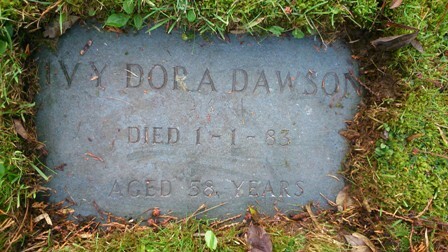 Ivy Dora Dawson. Died 1.1.83. Aged 58 years.